Has no one told the industry that it’s December and things are supposed to be slowing down? 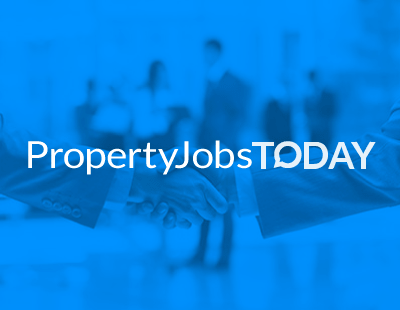 This week’s Property Jobs Today is a bigger-than-usual edition and an example that there’s still plenty of activity even if Christmas is just three weeks away. If your firm has appointments and moves to report, please let us know at press@estateagenttoday.co.uk and we’ll tel; the industry in this weekly PJT round-up. Now, let’s start with Fisher German’s new chief operating officer, Andrew Bridge. Andrew will formally move into the role on April 1 and in the interim will be developing structures and meeting key people across the company’s 16 offices. Before becoming COO he was head of the utilities and infrastructure sector; he has been a member of the current management team for six years and has responsibility for the firm's business support operations. “I’ve been with Fisher German since graduating from university, so have seen how the firm has developed and grown over the years. I’m privileged to work in a firm where I have been able to develop my experience and progress in my career, and I now look forward to working with my colleagues to continue to develop strategies to deliver future growth within Fisher German” he explains. Meanwhile JLL has made three new appointments to its Build To Rent and property management teams. Hamish Cameron has joined as an associate director in the Build To Rent and PRS asset management team. Hamish has a background in student accommodation in Australia and the UK, and more recently, has worked in BTR asset management for Westrock and Platform_. Hannah Bowen has been appointed as resident engagement manager and will work directly with JLL’s on site BTR scheme hosts to manage and improve ‘resident experience’ from initial enquiry to the last day of their tenancy. She has worked in the property industry for the last eight years, most recently at a central London property investment company. And William Uelese has joined as director of residential property management and will be overseeing the property management teams for the core and prime London areas. He joins with thirteen years’ experience overseeing property management teams within corporate and independent estate agents in London. Another large agency/consultancy with personnel news is Savills. It’s acquired Martel Maides, a major residential agency that’s been a household name on Guernsey since starting in 1972. Its team of 16 employees will join Savills with immediate effect and will be led by directors Richard Fox, Keith Enevoldsen and Claire Holliday from its existing St Peter Port address, and will transition to full Savills branding over the coming months. The commercial team, led by Terry Gardiner, will join the existing Savills Channel Islands commercial business, which is headed up by Tony Rowbotham. The acquisition does not include the Martel Maides auction business. As you may have seen reported on Letting Agent Today last week, the popular industry trainer and consultant Michael Day is joining the board of Glanty, the parent company of lettings PropTech firm teclet. teclet is an online portal platform that enables agents to automate lettings and management processes while retaining their existing supplier relationships and arrangements. Staying with PropTech, international rentals platform Spotahome has hired Balaji Nageswaran as chief product officer. As a former head of product management at Amazon, Balaji has run next generation product lines and gained significant experience building fast-growth scalable business solutions. As part of Spotahome’s new expansion programme, a London office will be opened in the first quarter of 2019, where Balaji will be based.